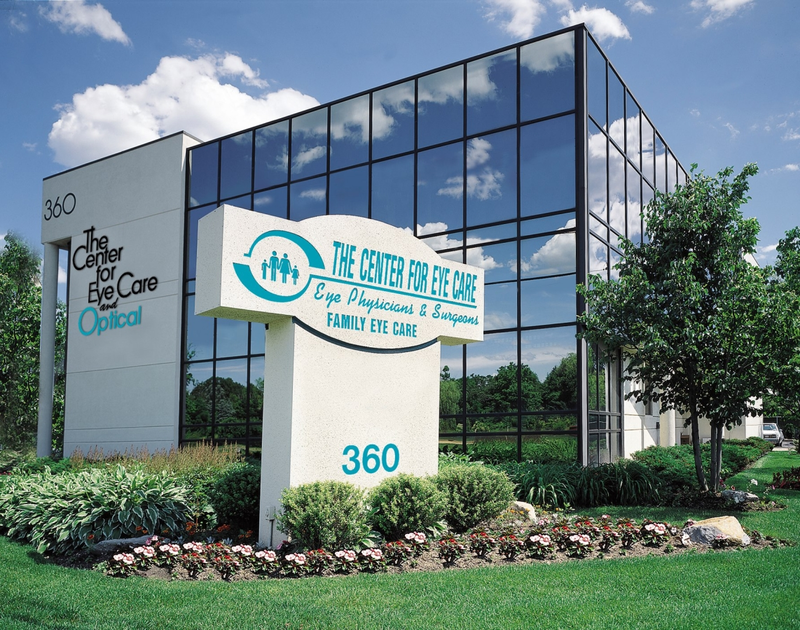 Founded in 1987 by James F. Collins, MD, The Center for Eye Care and Optical has grown to include a wide range of vision services. We were one of the first eye care institutions in the country to institute the Integrated Eye Care model which brings “the three O’s” all together under one roof: ophthalmologists, optometrists and opticians. The Center for Eye Care and Optical offers a comprehensive approach to vision care, covering all possible conditions affecting eyesight with a primary focus on providing the best possible visual performance and protection in all circumstances from sports to driving at night in a rainstorm. Our expanded team of Opticians and optical staff in our Optical Dispensary will work with you in choosing the most technologically advanced lenses and latest frame styles at competitive prices. Our practice is comprised of a team of board certified specialists with focused expertise ranging from cosmetic eyelid surgery to the treatment of many conditions that threaten the aging eye such as glaucoma, cataracts, macular degeneration, diabetic eye disorders and dry eye disease. A very important part of our eye care team is our ophthalmic technician staff. These highly trained certified professionals assist the doctors in patient evaluations and treatments. We could not offer our high level of service without the assistance of these dedicated individuals. At The Center for Eye Care and Optical we embrace technology. In eye care, this includes advanced diagnostic and therapeutic devices and linking all of the information from images to precision measurements in a secure computer system. Our practice utilizes electronic health records and has implemented a patient portal. This portal is a secure online website that allows our patients to access their personal health information. When logging on with your private username and password you can see your health records, make inquiries, request prescription refills and more. This portal is an important tool allowing our organization to provide superior patient-doctor communication and greater support between visits. "With so much to see, our vision is to improve yours." Please use the online scheduling option for "routine appointments" only. If you require immediate assistance, please call the office at 631-422-1110. Learn more about the new and exciting eyewear brands we carry as well as our Provisions Shop. Learn more about the services and treatment we provide for dry eye disease. Dr. Strachovsky specializes in disorders of the retina and vitreous. Dr. Rabinovich specializes in surgery of the eyelids as well as facial cosmetic surgery and injections. Read the latest blogs from our Medical professionals. "I highly recommend the Center for Eye Care and Optical. The staff is very friendly, helpful and exceptionally caring." "The Optical staff were extremely helpful and supportive in the process of helping me choose new frames." "Very pleased with the Doctors and Staff. The Optical Department was so attentive and helpful. Recommend to everyone I know!" "The doctors here are amazing - I've seen all of them with my entire family and they are all great for all ages. Easy to schedule appointments and short wait times."